The modern marketer has no shortage of communication channels for reaching consumers. Even with so many options, email still remains one of the best for engaging an audience and increasing sales. In a report from Campaign Monitor, 59% of marketers said email provides the best ROI for their organization. Since every small business needs to continually generate new leads, there is a lot of value in focusing on your email marketing strategy. Keeping email marketing best practices in mind is a good place to start. From using an email validation API to segmenting your list and personalizing subject lines, there are many ways to ensure you’re encouraging customers to engage with your emails. Below are additional strategies to help with email lead generation, as well as tips for moving those leads further down the sales funnel. Gated content can be one of the most effective methods for lead generation. With this tactic, you offer people a piece of content in exchange for contact details. Gated content could be an eBook, videos, a white paper, templates, or anything else your audience may value. The key is to offer content that will be attractive enough to encourage visitors to share contact details. Once you have developed the content, run the campaign by setting up a form on a website landing page. First, ask visitors to provide their name and email address. Then, when they click to submit their information, send a “thank you” email that contains the download link for the content. Maintaining a regular email newsletter is another good way to get people to subscribe to your list. Once someone signs up for the newsletter, you not only have their contact information, but you can use the newsletter as a way to promote your products and keep your brand in the minds of subscribers. To have success with your newsletter, you need to deliver relevant content to your subscribers. It’s also essential that you maintain a consistent schedule. If the readers do not find value in the content or do not receive updates for a long time, you may struggle to establish a strong following. Some may even choose to unsubscribe. Email automation is one of the most valuable tools for digital marketing and sending triggered emails can have a significant impact on your lead generation efforts. With simple automation tools, you can set up emails that are triggered by different events and behaviors. This not only helps to increase the value of the leads you capture, but it is an effective strategy for moving leads through the sales funnel. Marketers have several options when it comes to using triggered emails to engage with leads. When a person fills out a contact form, send an email to confirm their information. You could also send cart abandonment emails for shoppers who showed an interest in a product but did not complete the purchase. Triggered emails are great for re-engaging customers who have not been active in a long time. Obtaining new leads is good, but it is important to realize that the overwhelming majority of people are not ready to purchase after the initial contact. To make the most of these leads, you need to engage lead nurturing. Fortunately, this is another goal you can reach with your email marketing. Use list segmentation to target leads with emails that are relevant to their buyer’s journey. Email automation also allows you to set up drip campaigns that will effectively move your subscribers closer to making a purchase. When done right, email marketing makes a considerable impact on your lead generation and lead nurturing efforts. However, it does take time, and you need to develop a strategy that is right for your brand and for your customers. 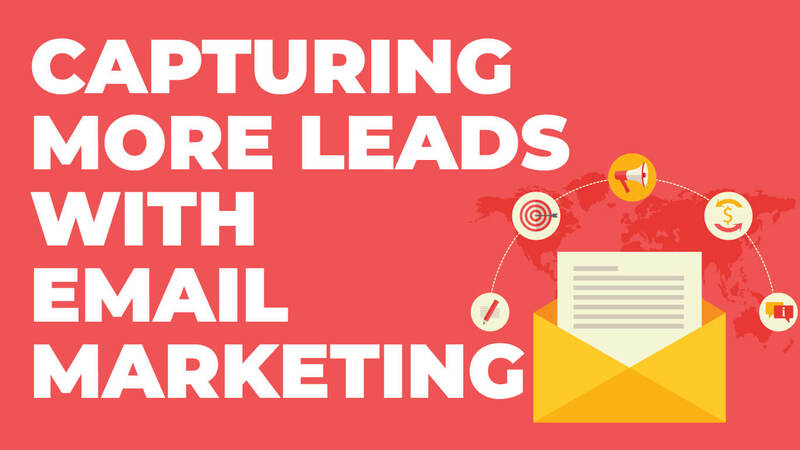 Read the blog and see the biggest pitfalls facing email marketing campaigns. This article is a guest post written by Camille Moore from NeverBounce.